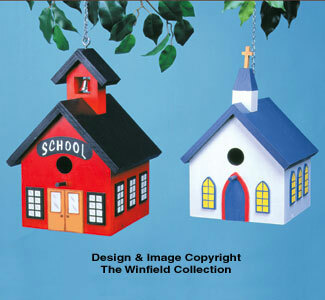 These classic school and church designs are scaled down to provide shelter for the spring hatchlings. Also makes great indoor decorations. Easy-to-follow pattern includes all the information you'll need to complete these fun projects.